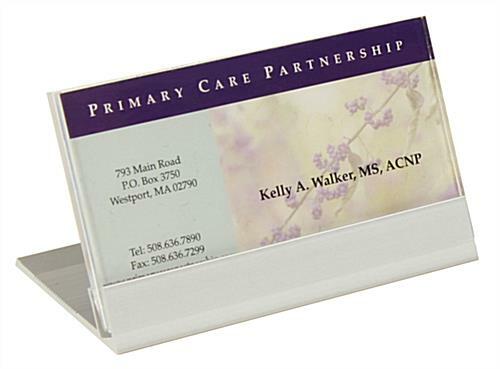 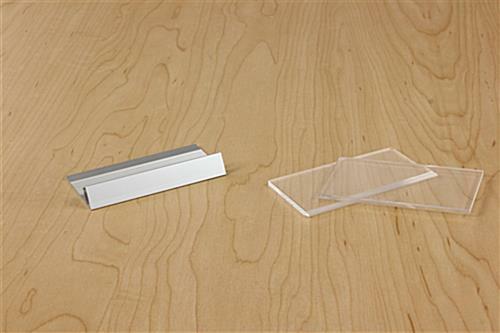 This acrylic faceplate holds a single business card on a desk to inform visitors what the title and credentials are of the person they are meeting with. 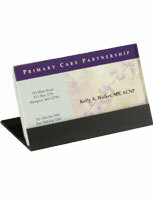 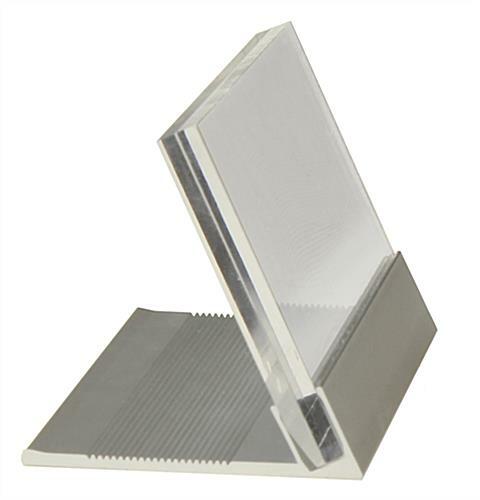 This plastic business card holder features a slide-in design for the name sign and a striking silver base. 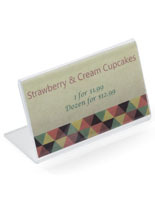 Each of these faceplates is the perfect way to create custom signage in an office simply and cheaply! 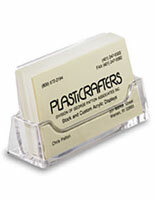 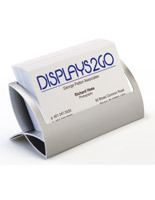 This name plate is lightweight and easy to slip into your suitcase for business trips and trade shows. 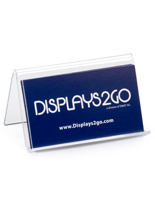 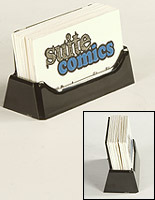 Buy promotional and identification signage from the experts at BusinessCardHolders2Go.com! 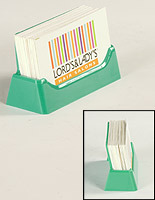 3.5" x 2.0" x 20.0"